58th & LEXINGTON STOOL, 2016. 58th street and Lexington Avenue cross in midtown Manhattan in New York city, USA. 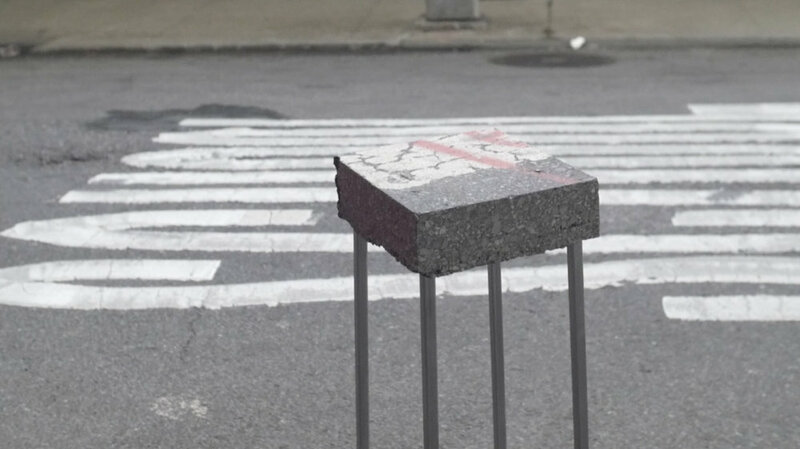 The 58th & Lexington Stool features a piece of the crosswalk from the north-eastern corner of the road. 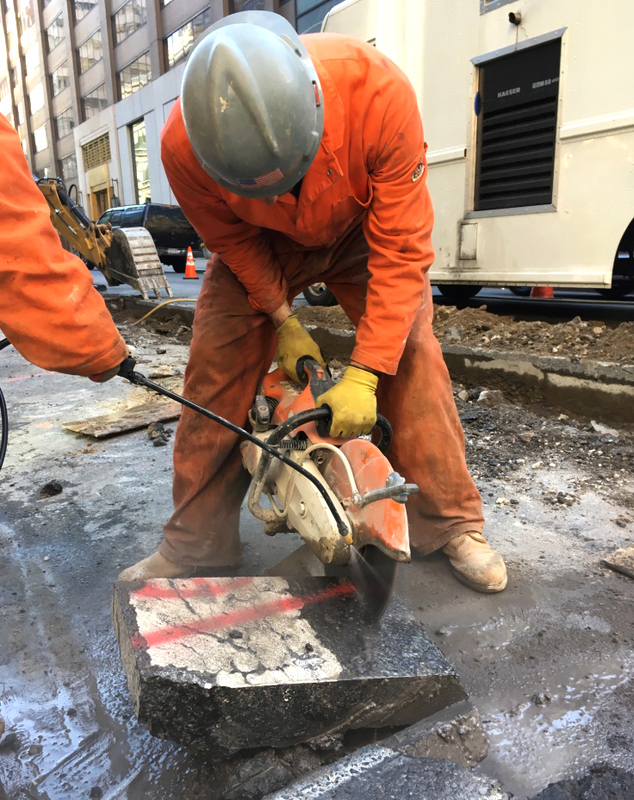 It has been cut with machinery by construction workers themselves, under Jason Pocklington's supervision, and afterwards cleaned and chiseld on the bottom as well as grinded on the sides. 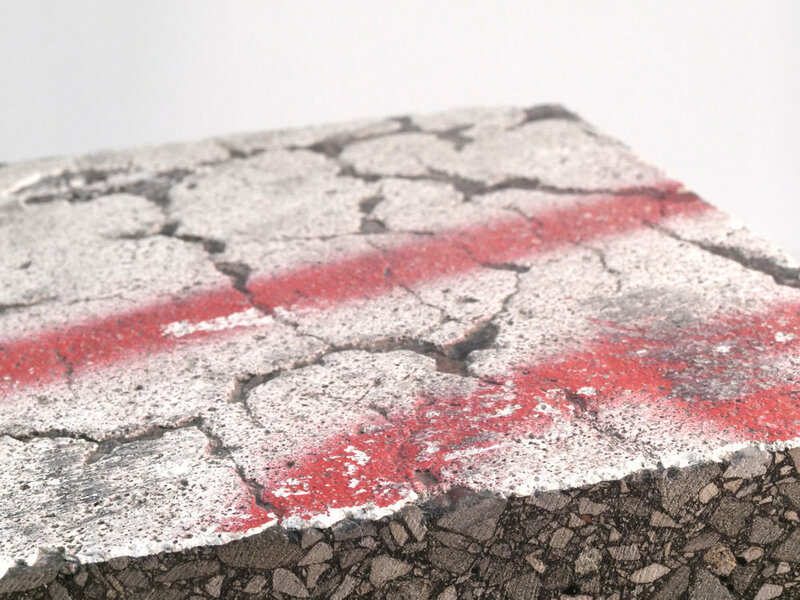 Originally made from a mix of concrete and asphalt, there are also pieces of glass found at the bottom. The legs are made from welded steel tubes, finished with a slight polish and waxed to keep a matte look. The core of the urban swirl is paced by traffic, cars, taxis, buses, bikes and road signs where pedestrians walk in a grid-like environment through it all. Pocklington framed this piece of the everyday in a stool.